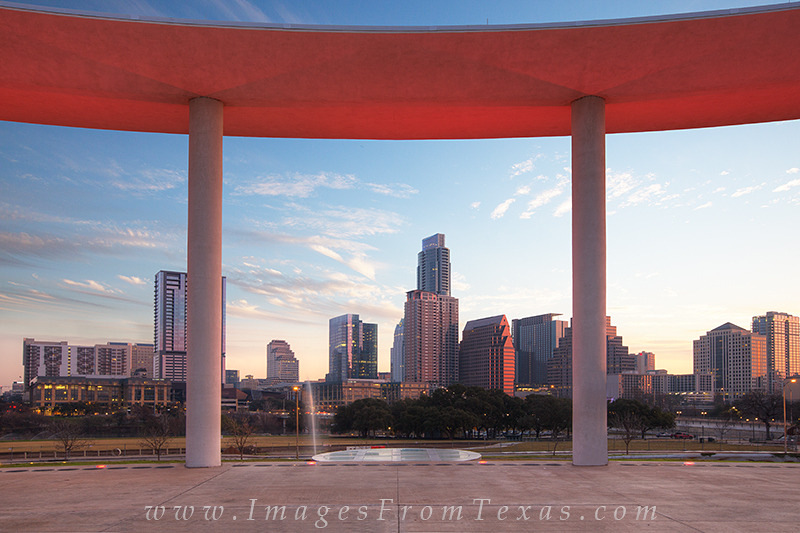 Early on a Febraury morning, the Long Center is lit with a soft red light. In the distance is the Austin skyline, with the Austonian rising the highest among the downtown buildings. Photo © copyright by Rob Greebon.